Setting up such a domain is especially useful when you want to leverage e.g. TFS and the test tools, since these tools work best if you work in a domain joined environment. After setting this up, all worked great and I have used it for several demos and just some average development work I do. So trying to resolve the problem, I first looked at my network setup and especially DNS. Reason for me to start there is that the IE browser constantly showed the dreaded connection failed and telling me I did not have an internet connection. If you look a bit deeper, you could see it was a name resolution issue, so I started a command line and used nslookup to try to resolve names. So this confirmed to me I had a DNS problem, question next was how to resolve it. With the custom domain setup, I configured a virtual private network with the address range 10.0.0.x and since I wanted to host my own Active Directory and you can see by the response it did pick up my DNS server. So the problem must be at the DNS server itself. 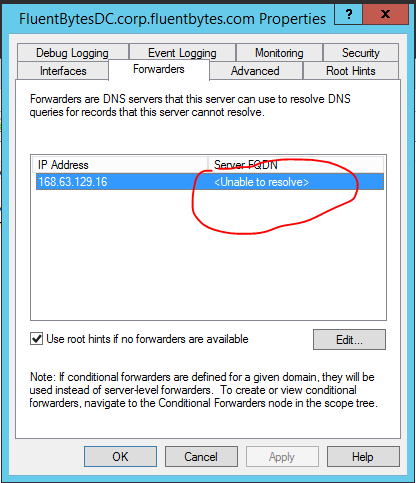 Then I looked at the DNS configuration and since it was fully functioning before, it must have something to do with a DNS setting that might have gone stale in the Azure network topology. 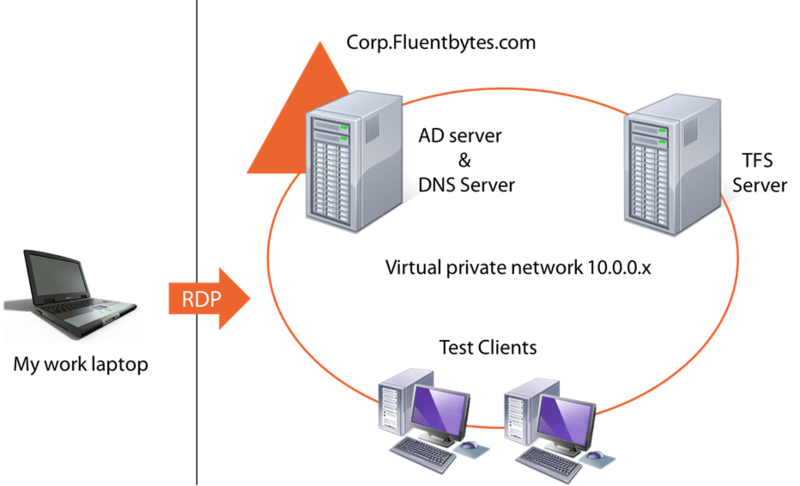 One of the things that is different to on premise AD is the fact that your AD machine still has an DHCP obtained address. I did pin it to a fixed address using the PowerShell command described, but still you get this address from a DHCP server. 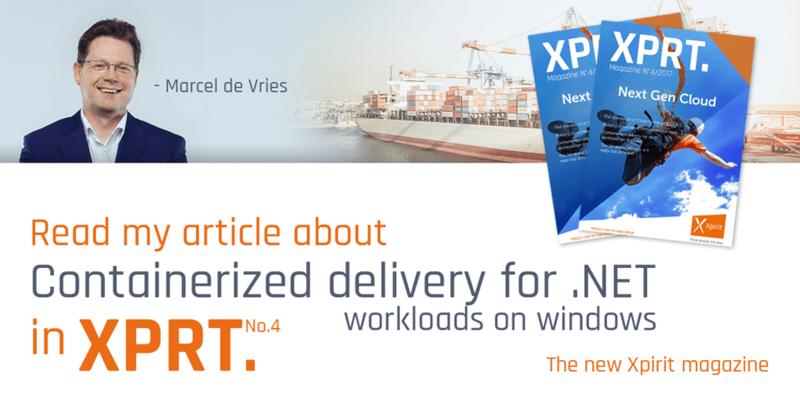 Now looking at the configuration, I discovered that the configured forwarder, that takes care of all requests outside the local domain, was unable to resolve. I Assume this problem is caused by the fact that once I created this AD machine and promoted it to the AD and DNS server, it just added the DHCP server that it got it’s lease from as the default forwarder. Since I might have been moved around the datacenter during maintenance or perhaps even failover, it is very well possible this server does not exist anymore. By just removing it from the list, I have a more sustainable solution, since it will not be affected anymore by such a move in the future.